The weather in Churchill varies greatly from season to season, and the wind coming off of the Hudson Bay can often make temperatures feel even cooler than reported. The average temperatures for October and November vary from -1˚C to -13˚C (30˚F - 8˚F) without the windchill factor. Whether you are enjoying polar bear viewing from a Tundra Buggy or bounding through the boreal forest on a dog sled ride, we recommend that our guests dress in layers to make sure they are comfortable throughout their adventures. Not sure what that means? This short video will teach you the basics of dressing for an adventure in Canada's North. To make packing for your adventure to Churchill a little bit easier, did you know we offer our guests outstanding Canada Goose parkas and snow pants, and Baffin boots through our Gear Rental Program? No need to pack those heavy boots and that fluffy parka, we've got you covered! Here's our suggested packing list for our autumn adventures. 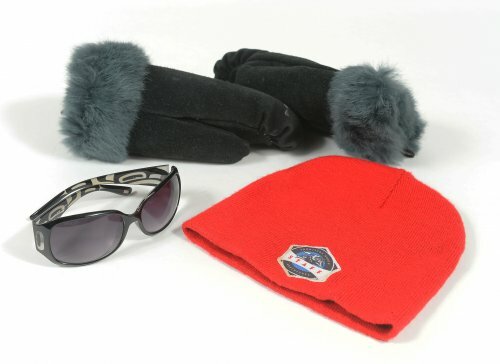 And here are some of suggested items that our team can't live without when working in Churchill. 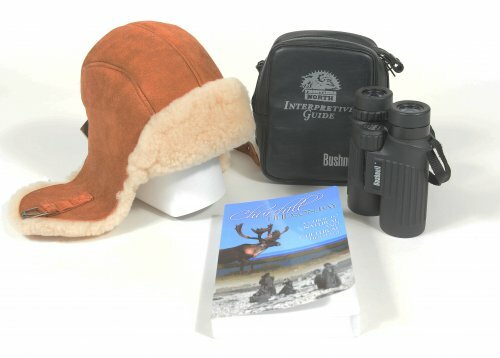 Doug doesn't come to Churchill without a warm hat (even better if it has ear flaps), his Bushnell binoculars and books about Churchill to help guests understand the natural history of the area. Pictured here is Churchill Hudson Bay: A guide to Natural and Cultural Heritage by Lorraine E. Brandson. Tricia needs three things when she's working in Churchill: mitts to keep her hands warm, a toque to keep her head warm, and sunglasses to protect her eyes from the bright northern sunshine reflecting off the snow. Lynda knows that when she's spending time on the Tundra Buggy Lodge, keeping her feet warm is key. She always brings warm wooly socks, her fur trimmed slippers and hand/foot warming pads to keep her toes toasty during the evening. For Brandi, keeping warm and sharing her time in Churchill with friends and family is important. 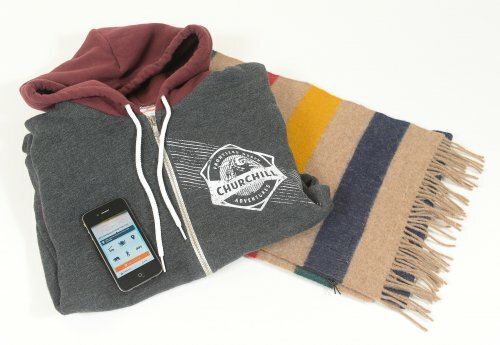 A warm hoodie and her HBC scarf keep her warm, and she regularly updates her social media network by sharing photos from the Churchill Travel Guide App installed on her iPhone. Do you have any questions about preparing for your adventure in Churchill? Ask us on Facebook or Twitter, or contact one of our Adventure Planners at adventure@frontiersnorth.com.